The transition to becoming a manager is often a bumpy one. What makes a successful individual contributor (IC) can sometimes make a terrible manager. It’s not surprising that after transitioning to manager, the next step can be even tougher and less supported. So how do you manage managers? Insight 1: Openly borrow, or even steal, best practices from other leaders. While imitation is the sincerest form of flattery, Ben Kamens, Founder and CEO of Spring Discovery, took this even further, and “found a lot of value out of straight-up stealing/copying from others.” For example, when Kamens first transitioned, he reached out to a mentor and asked for a copy of their career ladder and feedback rubric for managers. Be willing to try out and evolve others’ practices; it may not be quite right the first (or second or even third) time, but eventually, you’ll stumble into what works for you. Others have already muddled their way through this transition before you, so you may as well benefit from their mistakes so you can create your own. Insight 2: Be conscious that you have disproportionate influence, for better or worse. As a leader, others immediately look to you for answers and look to you as a role model of what norms are acceptable. Developing awareness of how your behavior impacts others is important in general, but as a manager of managers, this is even more acute. All too often a one-off idea is spouted spontaneously by a senior leader, and then is invested in and brought to life without them even knowing. When I first made the transition, my team reminded me: “You’re an executive, and you need to be aware of when to voice your opinions.” I initially wasn’t sure what they meant, but eventually realized that pointing out a small correction, even when I caveated that it was a little thing, actually made it a big deal. So nowadays, I am much more conscientious to recognize work well done publicly, and minimize nitpicking. I’m also conscious that the amount of time spent discussing an issue implicitly signals prioritization for the team. If I want them to focus on the important things, I need to align our attention against those priorities. Disproportionate influence is also acutely felt in employees’ experience with company values. They see values made true or false by individual leaders. When there is dissonance, employees will often take it that the company as a whole does not believe in those values. Someone said to me recently, “You say we are transparent, but this executive never tells us anything. Definitely doesn’t feel like this company means what it says.” The de facto way people act is a much truer, and self-reinforcing, representation of company values than any words written down stating the values. As a leader of leaders, you are seen as the upholder and representative of company values and decisions. Being aware that you are the company is a big shift. Insight 3: The answer is almost always people (and patience). Through all the different and varied problems he encounters, Jeffrey Spehar, Engineering Director at Facebook, shared, “The answer is always people.” Whether it’s a project, a strategy, or execution, at this level the solution on how to get it done or get it done better usually comes down to “who”. Of course you need a clear “what”, but most conversations are about who needs to be coached on a skill, or who to move to or from a team, or who can lead. One of the hardest hurdles in the transition to manager can be figuring out what impact feels like. Kamens reflects, “As an IC, it is automatic and super visceral to feel when you are adding value / making progress / doing something useful. As a manager, the impact is an abstraction away from the work, and many don’t feel the impact they are having (even when they are effective).” He sees 1:1s, communication, and coaching as an investment in helping his team of leaders understand where they’re expected to have an impact, and make sure they feel it when they do. Because your focus is so people-dependent, Spehar also points out, “you’ve got to develop patience because everything takes more time. It’s no longer as simple as just doing it yourself or telling someone to do something. Much of your impact in the role is helping others to see and share in the broader vision, and then feel compelled strongly enough to act on that. So, you have to be patient for others to act.” In practice, this sometimes means suppressing your instinct to figure out a concrete solution yourself. While in some companies, there’s top-down political directiveness, the most effective leaders know that empowering their teams to understand their purpose and how the moving pieces fit into the broader picture means more fulfilled and productive employees. Insight 4: Make the time and space to think ahead. Given things take longer, you also must think further out as a leader. There is always a mountain of urgent, minute things, but as nearly every management book will advise, set aside a few hours each week on your calendar to plan ahead. Step back to align with your own manager on your team’s goals and priorities. Be in lockstep on expectations here. Communicate clear expectations to your team and be in lockstep with your direct reports as well. If you’re doing your job as a leader, proactively trust that your team is picking up the execution. Wean yourself off one task at a time. Initially, let tasks fall off the list by asking ‘Should I be doing it? If I didn’t do it, who can I ask?’ Then graduate from delegating tasks to projects, and then goals. Eventually, you’ll be able to focus on the longer-term, bigger-picture items because your team has got the rest. Insight 5: Aim to paint the bigger picture. Okay, this one is meaty enough to warrant 3 sub-insights. When it comes to aligning everyone on their mission, purpose, and goals, you have to talk about it. A lot. In different mediums. In different directions (up, down, sideways). It may seem inefficient — here you are, in theory more powerful and important, spending your time saying similar things again and again, but human beings learn best when things are repeated (see: spaced repetition). If you want it to stick, repeat it. That said, be smart about how and where you communicate. As you plan out the various mediums, think through who needs to know what at which points in time. For some topics — like a major re-org where individuals’ day-to-day will be disrupted — 1:1 discussions are an important precursor so that individuals have time to process and ask questions before you roll out a broader communications plan. Other times, just putting it in writing (via email, a team blogpost, and/or a team chat) is sufficient. As you’re doing all that talking, you’re ideally listening too, in order to understand your team’s and peers’ interpretations, updates, and reactions. It’s easy to forget that, with that input from different parts of the org, you have unique context that most folks don’t. Your job is to connect the dots for them. It might be providing that context directly, but more often, it is getting groups of people who should be sharing that info with each other to actually talk to each other so you don’t have to be the middleman. The old way of company politics is that knowledge is power, which led to information hoarding. In the new philosophy, sharing knowledge is empowerment. The best leaders empower their teams, enabling them with as much useful context as possible. It’s easy to forget … you have unique context that most folks don’t have. To really understand what’s going on, it’s important to give team members a safe space to share what they are thinking. To make the right decisions, invest in understanding what is going on — ask and listen much more than communicating outwardly. One tactical approach is to prioritize regular skip-level conversations, which provides additional perspectives from which to piece together a fuller picture. To accurately connect the dots, it helps to collect as many dots as possible. Different viewpoints can lead to different conclusions, so understanding as many perspectives as possible allows for a better-informed decision. There are significant differences when it comes to managing managers versus managing individual contributors, but ultimately being a manager is still about making your team successful. It requires investing time with your team — individually and as a group — to help your team members (a) understand the team’s mission and purpose, (b) understand how they fit into that, © set goals, and (d) coach them to get there. It also involves investment with your peers and upper management to ensure they are aligned too. The best leaders are constant learners (Harvard Business Review even wrote an article with that exact title). So, where can you go to learn more? 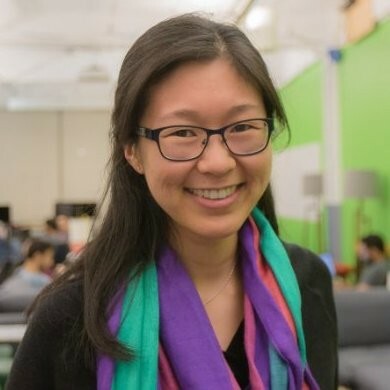 Jessica Yuen is currently the Chief People Officer at Couchbase, and formerly led the People team at Gusto. She previously held roles at McKinsey, Yahoo!, and Khan Academy. Jessica holds electrical engineering degrees from UCSD and Stanford, and found her passion at the intersection of technology and people. In her free time, she loves corny jokes, fast food, and spending time with her daughter and husband.